France's UN Ambassador Gerard Araud warned Wednesday, Sept. 28 that Iran runs a high risk of a military strike if it continues on the path to nuclear proliferation. 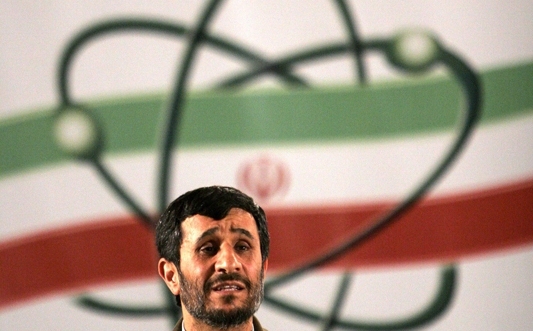 "Some countries won't accept the prospect of Tehran reaching the threshold of nuclear armament," he said. "Personally I am convinced that it would be a very complicated operation …with disastrous consequences in the region." The French diplomat was not the only one to raise the alarm this week about regional war clouds circling over Iran. Sept. 9-26, the Russian army, joined by Kazakhstan, Tajikistan and Kyrgyzstan, deployed 12,000 troops in a huge combined military exercise code-named Center-2011 which simulated an Iranian attack on Caspian oil fields operated by American firms in reprisal for a US strike against Iranian nuclear sites. Russian intelligence postulated an instantaneous Iranian reprisal for this strike and based the war game staged by Russian-led Collective Rapid Force and the Collective Rapid Deployment Forces of the Central Asian Region –CSTO – on this assumption. Stage One: An naval attack on the Caspian Sea coast coming from the south (Iran). Stage Two: A large-scale air and ground attack from the south by 70 F-4 and F-5 fighter-bombers, namely, the bulk of Iran's air force, along with armored divisions, marine battalions and infantry brigades landing on the northern and eastern shores of the Caspian Sea. The Russian briefing conjectured that the Iranian offensive would single out the Kazakh oil field at Mangustan on the Caspian coast, a field which debkafile reports Exxon Mobile is operating. Moscow clearly attached the highest importance to the exercise and extreme credibility to the hypothetical scenario. Russian chief of staff Gen. Nikolai Makarov personally commanded the drills and on Monday, Sept. 26, President Dmitry Medvedev toured the field commands and units. Tehran was not idle: Tuesday, the day before the war game ended, Adm. Habibollah Sayyari, commander of the Iranian Navy, stated that Iranian warships would be deployed "close to US territorial waters," since the Islamic Republic of Iran considers the US presence in the Persian Gulf "illegitimate and makes no sense." After Tehran rejected a recent US request to establish a "red phone" link between the countries to avoid unwanted confrontation between their armed forces in the Gulf region, Ali Fadavi, Revolutionary Guards (IRGC) Navy chief, commented enigmatically: "When we are in the Gulf of Mexico, we will establish direct contact with the United States." A significant remark on the intentions of another nuclear rogue government came from Peter Hughes, the British Ambassador to North Korea, when he stopped over in Seoul on his way home from a three-year tenure in Pyongyang. "I have had discussions with high-level officials, who have made clear to me their view that if Colonel Qaddafi had not given up his nuclear weapons, then NATO would not have attacked his country," he said. The ambassador therefore held out little hope of the long-stalled US-South Korea talks with the North resumed lately getting anywhere on Pyongyang's denuclearization.